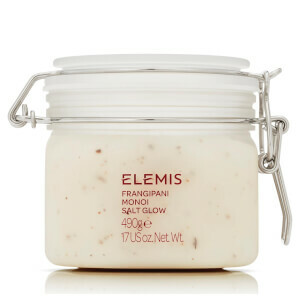 Energise your skin and awaken your senses with Elemis Lime And Ginger Salt Glow. A luxurious blend of sea salt, kukui, camellia and jojoba oils, this scrub is the ultimate skin treat. With invigorating ginger to stimulate the metabolism and tone the body, while lime peel works to energise, cleanse and purify the skin, Elemis Lime And Ginger Salt Glow has a unique blend of kukui, camellia and jojoba oils to exfoliate and remineralise skin, helping it regain its natural moisture balance and silky softness. Apply with gentle circular motions to damp skin in the bath or shower.